Its been kind of cold for spring . I think AOL has wishful thinking or an intern is running the place today. Time to get my news some where else. At least I stopped using their browser years ago. For those who can't see it. 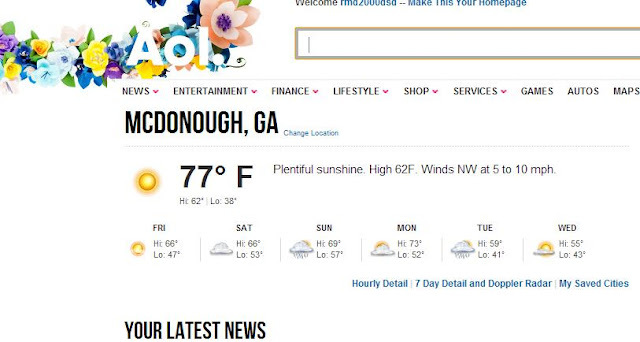 If the high is 62 degrees and the low is 38 how come its 77 now? Not that it matters actual temp now is 47 degrees the new guy must be in control today. This had to move up 4' to go around a new wall. Always add am filter dryer when you open the line. FOR ALL OF NORTH AND CENTRAL GEORGIA. IN THE MIDDLE TO UPPER 20S IN THE HIGHER ELEVATIONS. ELSEWHERE...MINIMUM TEMPERATURES IN THE LOWER 30S. FLOWERING VEGETATION. STRONG WINDS CAN MAKE DRIVING DIFFICULT. FROM TREES AND EVEN BLOW DOWN WEAK OR DROUGHT STRESSED TREES. Instructions: A FREEZE WARNING MEANS FREEZING TEMPERATURES ARE FORECAST TO THREATEN OUTDOOR PLANTS. THOSE WITH AGRICULTURAL INTERESTS IN THE WARNED AREA ARE ADVISED TO HARVEST OR PROTECT TENDER VEGETATION. A WIND ADVISORY MEANS THAT SUSTAINED WIND SPEEDS OF AT LEAST 20 MPH...OR GUSTS TO 35 MPH OR STRONGER ARE EXPECTED. WINDS THIS STRONG CAN MAKE DRIVING DIFFICULT... ESPECIALLY FOR HIGH PROFILE VEHICLES. USE EXTRA CAUTION. 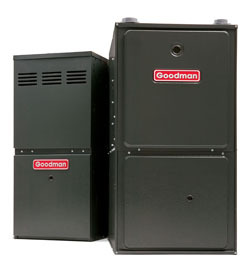 The storm knocked out your furnace or you notice the furnace stopped working the day after a storm. Check these things. First see if the wind blew out your pilot light. New furnaces don't have pilots. If the pilot is out lite it with a match or grill lighter not a candle. 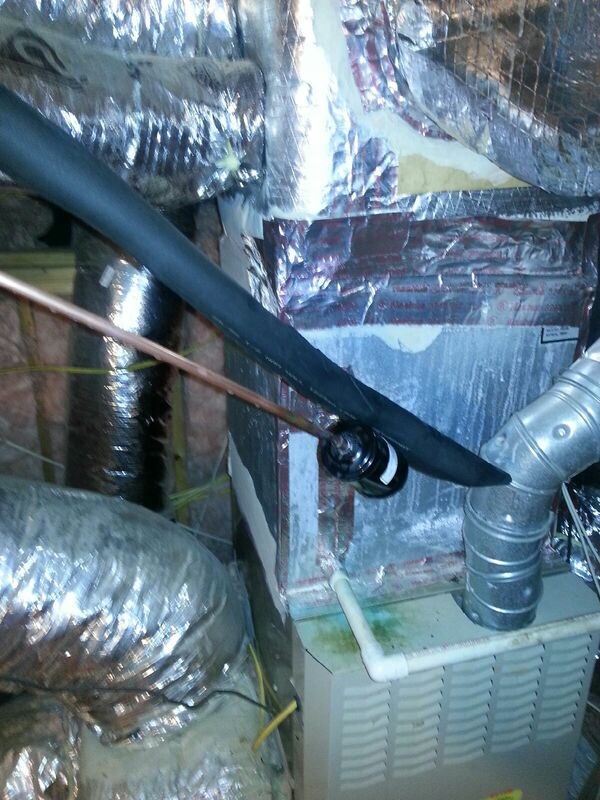 If wax gets in your furnace you are going to have trouble. Check to see if the furnace door is on. The wind may have blow the door loose. 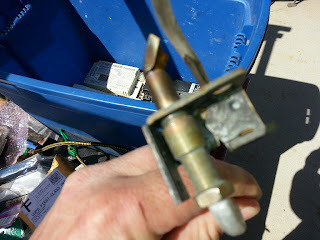 There is a switch on most furnaces that shut down the system if the door is not tiuching it. Next check the breaker in the panel box. A power surge can trip the breaker. Lighting near by can trip the breaker. If none of these work call for service. You may have something shorted out, or its broke from something not related to the storm. 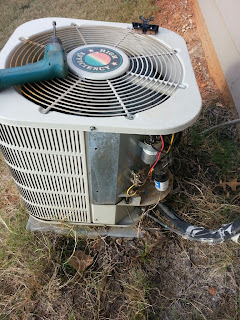 Air conditioner repair in Mcdonough Stockbridge Locust grove and all of Henry county. 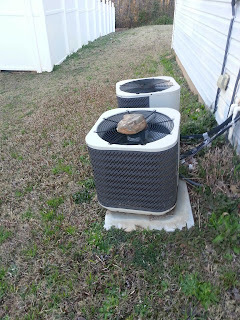 Air conditioner sale+Repairs Heating and air contractor in Henry co. Open today Furnace won't start? Aaac can fix it lots of parts kept on the service truck. 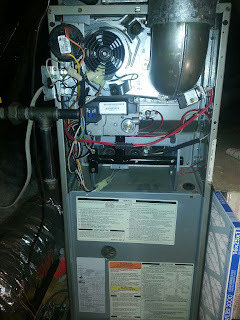 This carrier dual fuel furnace wouldn't start I found the gas was off and the electric heat pump will not work without the gas on it uses the gas heat as emergency heat and when it calls emergency heat it shuts down because there is no gas. It can be by past to all heat pump but that was not how it was designed to work. Hey the new Chick-fil-a is coming to Lake Dow area. 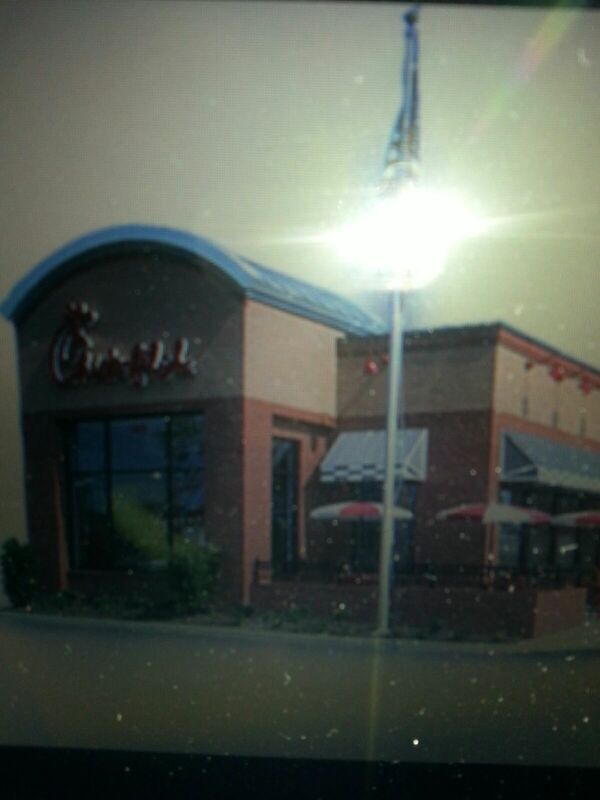 Its going across from McDonalds where that white house is. 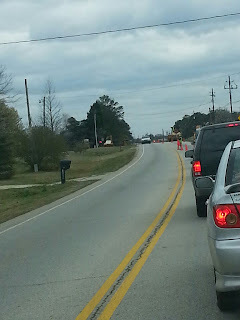 I was to lazy to go into the one at Kroger and the one buy the highway us a little far. This should do great here. No more waiting in that slow Mcdonalds for lunch any more. The furnace tries to start but can't. Well sometimes its a bad motor. Sometimes there is something stuck in the blower. This time it was a filter. It doesn't look like any damage has been done to the motor. Turn of the furnace if it tries to come on and can't. It may save your motor. 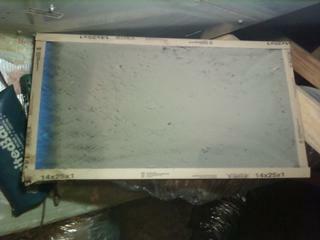 Filters like this can stop air flow. This one caused the motor to over heat. 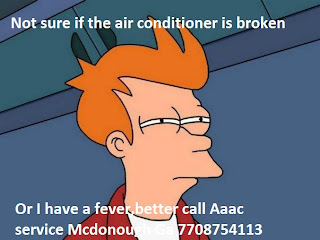 Aaac service heating and cooling 7708754113 can fix all brands of residential air conditioners. Aaac is a local Henry co heat and air contractor. 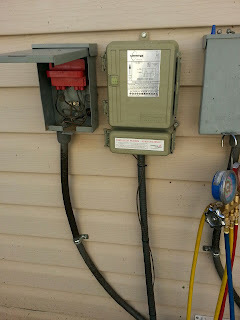 If your a/c outside has stopped and is buzzing turn off the power and call for service. If it is shorted out it can shock you. Open every day no extra charge for weekends Aaac service Mcdonough. Residential furnace repair Aaac service heating and air.7708754113. Furnace stopped heating? We are local in Henry co . I can fix it today. Low prices on repairs and replacements. Recommended Action: Check to make sure your thermostat/control is set to cool. Reset to your desired temperature. Recommended Action: Air coming through your vent will be warm. Check temperature setting on thermostat/control. Check the breaker at the outside unit, contact us asap. 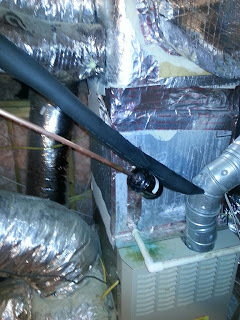 Recommended Action: Check for signs of water below unit and cold exterior surface of indoor coil enclosure. Contact Aaac service heating and air Locust grove Ga 7708754113 or in Fayette county Ga 404-952-4510 In the meantime, try turning your thermostat off for 1 to 3 hours to see if it will defrost. Recommended Action: Check the set point on your thermostat. Is it very low (in summer months) or very high (in winter months)? First, reset your thermostat and check your batteries. If that doesn’t work, please contact us as soon as possible. 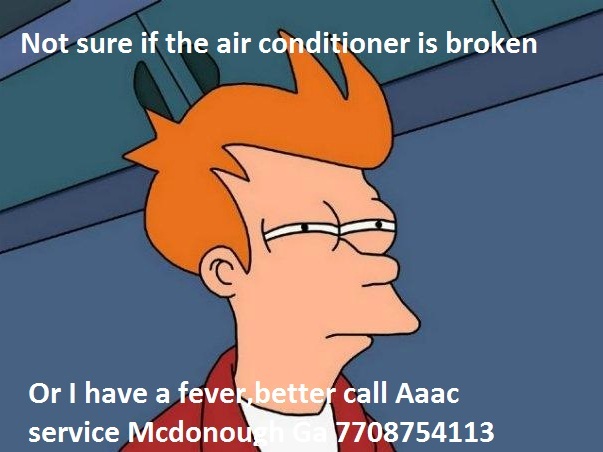 Recommended Action: If none of the troubleshooting answers address your problem, then turn off your system and contact Aaac service heating and cooling Mcdonough 7708754113 or in Fayette county Ga 404-952-4510. We service Henry county and Fayette county Saturday and Sunday after hours available. Low prices on air conditioner and furnace replacements. The weather is at that weird stage. Its cold at night and hot by lunch time. I have a lot of parts on the truck to fix both fast. Stockbridge i'm fixing a furnace in the morning. Locust grove needs an air conditioner after lunch. Mcdonough I'm here local in Henry couty. 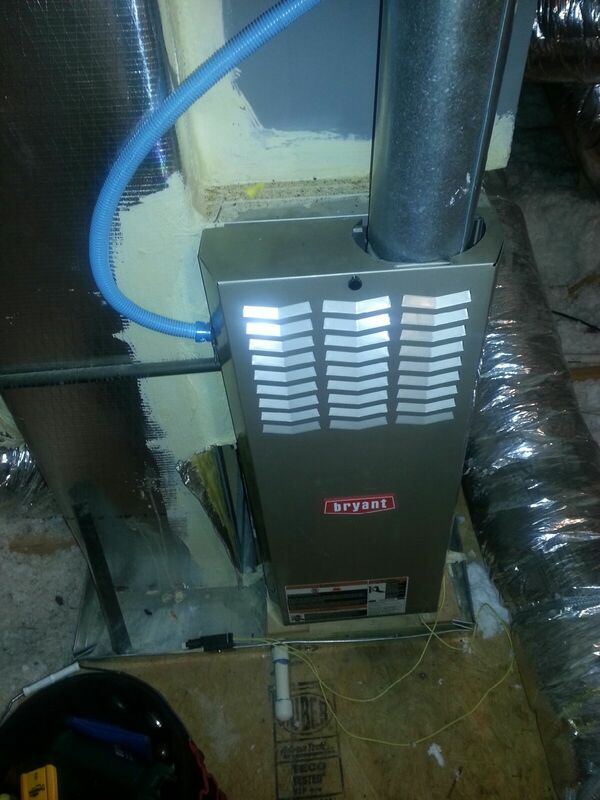 $65 furnace repair service call. 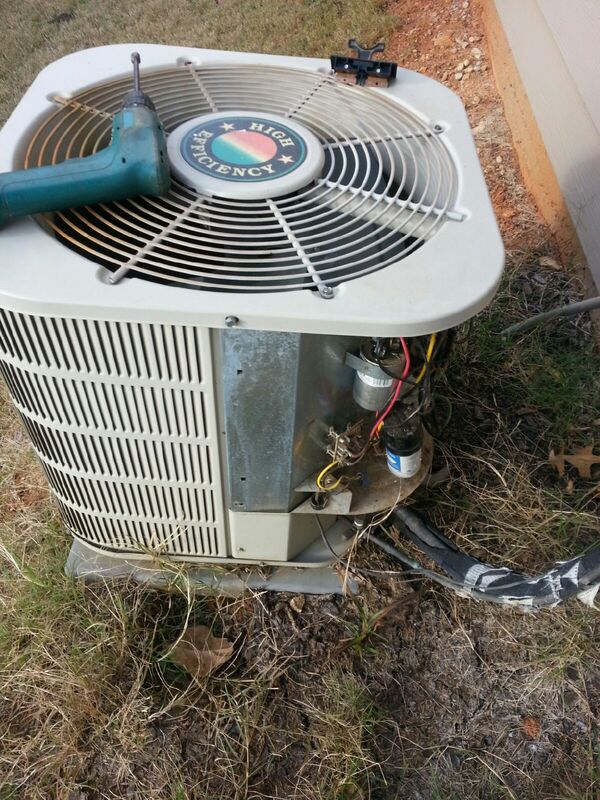 $65 air conditioner service call..Includes 1/2 of labor. Parts and additional labor extra. 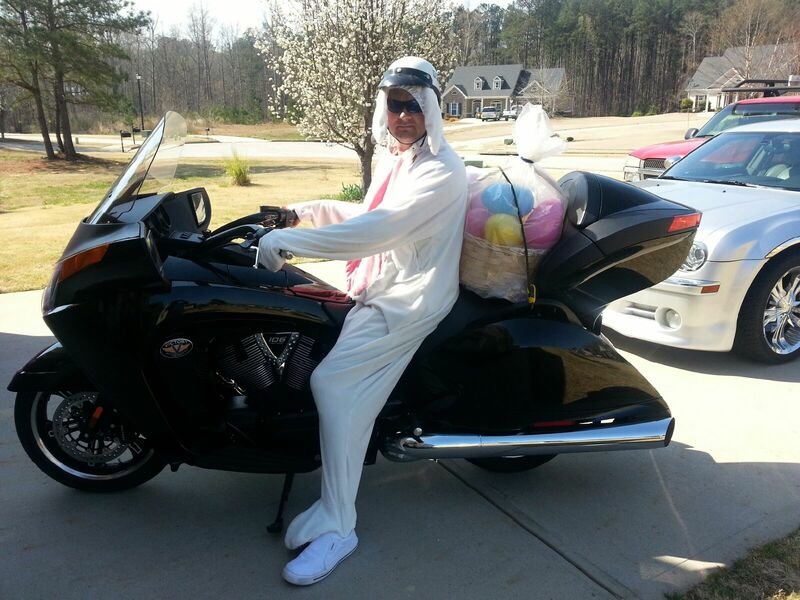 Aaac service heating and cooling Mcdonough Ga 7708754113. We sell and install AMANA & GOODMAN Air conditioners with a 10 year limited parts and compressor warranty. 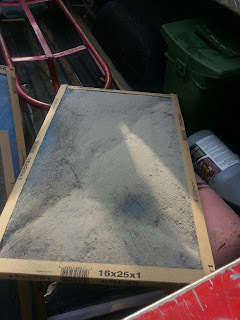 You should change your filters once a month. Fiberglass air filters - Typically sell for $1 a piece, and they remove less than 10 percent of the air pollutants from your home. Fiberglass filters usually have a MERV rating between 1 and 4.These are junk. They often fall apart and get sucked into the blower. 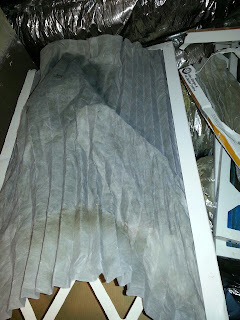 Pleated air filters - Polyester and pleated filters are pretty similar to fiberglass filters, but they tend to have superior dust-trapping ability. These HVAC filters remove up to 45 percent of the air pollutants in your home. They typically cost around $5 each and have a MERV rating between 8 and 13.Filters don't work if you don't change them this one is bad. Never buy the hypoallergenic / allergenic filters that look pleated but are tightly packed together these block to much air flow. Washable air filters – The worst HVAC filters you can purchase. These filters usually have a very low MERV rating—between 1 and 4—and require extensive maintenance. They easily collect fungus and bacteria, which can escape and circulate throughout your home. You should avoid using washable air filters for your HVAC unit. High-efficiency media air filters - High-efficiency HVAC filters can remove up to 85 percent of the air pollutants from a home or building space. They boast a MERV rating between 14 and 16 (16 is the highest rating). These are the thick filters that require a special filter rack. Most only need to be changed once a year. Great for furnaces in hard to reach places.It cuts down on how often you have to crawl under the house. Installation for these start at $250 and refill filter are $30-$80. Keep in mind that an overly restrictive air filter can slow the rate of airflow, causing your unit to malfunction. The ideal air filter is one that has the least effect on airflow, but removes the greatest number of air contaminants. Pleated Filters are usually the best choice for homeowners who want the best dust control possible. Comfortmaker air cinditioner shakes fixed? Aaac Service heating and air furnace and air conditioner repair in Henry county. Residential furnace and air conditioner installation. Furnace and air conditioner sale.